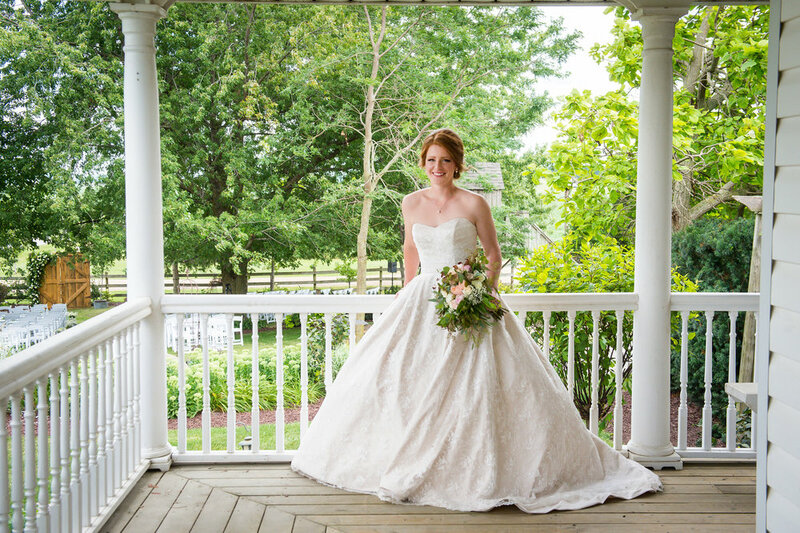 On November 11, 2016, Erin found her gown & said yes to the dress! Today she dishes all the details of that experience! She'll also share how she came back a second time to say yes to her maids and flower girl dresses too! 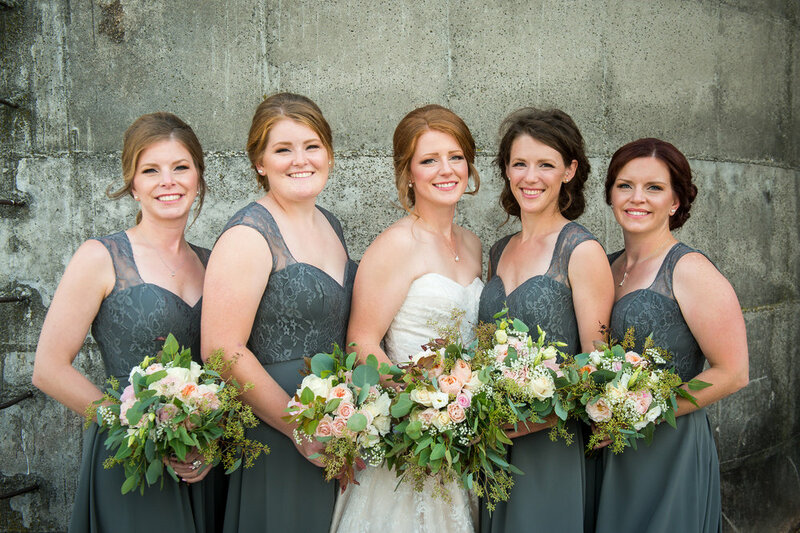 We loved seeing all of the dresses she choose come together on her wedding day! "The one I bought was actually the very first dress I tried on! I put on a few different styles, so maybe 6, but I always went back to that first one." "My parents: Jerry & D.Kathy Hendrikx and my sisters: Emily and Meghan Hendrikx." "I wouldn't say anyone had extra influence, I just wanted everyone to love what I said yes to." "I didn't really know what I wanted." "He thought it was stunning. 'I couldn't have picked a better dress! It really made my wife glow.'" "It was perfect! We had our own space, I didn't feel like they were pulling dresses for 10 other people. It was very personal, everything I said was taken into account with the next dress that was pulled. My family and I all agreed it was such a great day." How was your second experience here with us? "The second experience was really good! All of the bridesmaids were there, they got to try on different styles and show them off at the same time. We were the only people in the store with that appointment. Again, very personal!" "I want to compliment the staff, Erin was so helpful. Everyone made sure things ran smoothly. 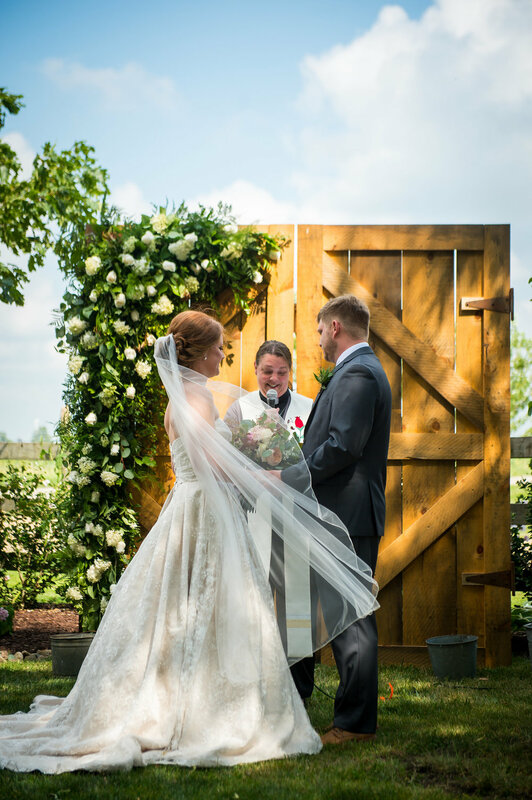 I would definitely recommend Once Upon A Time Weddings - a space that takes the time to help you find your dream dress, friendly staff...just a great experience to have had." Join us next week as we take a look into Erin and Jeff's wedding day! 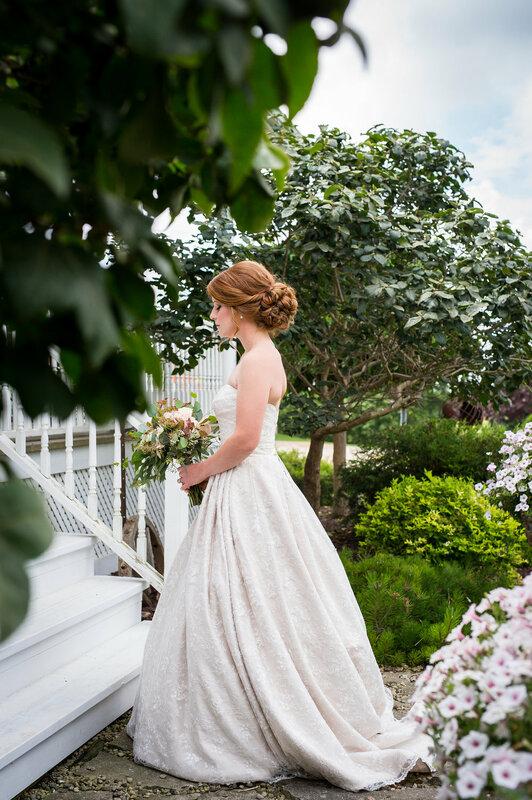 If you're still searching for your dream gown or maybe your bridesmaids dresses, book your experience today because we can't wait to make magic happen with you!